Neuropsychology externs at Harbor-UCLA (HUCLA) will be selected to train under the supervision of Dr. Wright. Externs will primarily obtain experience in the provision of outpatient neuropsychological assessments to individuals with a broad spectrum of neurological and neuropsychiatric disorders. 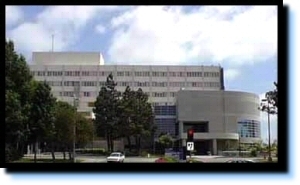 Harbor-UCLA Medical Center Psychiatry, Neurology, and Neurosurgery are our primary referral sources. Most of our clients suffer from multiple medical and psychiatric co-morbidities. Externs may also obtain experiences in inpatient and Spanish-speaking neuropsychological assessments. Further, externs will gain experience utilizing a fixed/flexible battery approach, process observations, and qualitative assessment methods. Duties, expectations, and tailored experiences may vary depending on each student’s level of expertise (see below). Research opportunities are also available and strongly encouraged for students pursuing careers in neuropsychology. Qualifications: Good writing skills and basic working knowledge of some neuropsychological tests. Duties/obligations: Two to three comprehensive neuropsychological assessments per month, weekly attendance and participation in group supervision and the neuropsychology seminar. Expectations: Develop technical proficiency in administration and scoring of core tests, demonstrated adequate report writing and interviewing skills, show a solid understanding of diagnostics, and demonstrate a basic ability to recognize deficit patterns in neuropsychological test data. Qualifications: Strong report writing skills and proficiency with common neuropsychological tests. Duties/obligations: Two to three comprehensive neuropsychological assessments per month, peer supervision, and weekly attendance and participation in group supervision and the neuropsychology seminar. Advanced externs are also invited to participate in other didactic offerings (e.g., medical case conferences, research seminars, etc.). Expectations: Develop the ability to modify test batteries to meet client/referral needs, demonstrate strong report writing, interviewing, and diagnostic skills, and develop pattern analysis skills for a more advanced understanding of neuropsychological test data. Externs administer, score and write short reports (~6-10pp.) for 2-3 neuropsychological batteries per month in addition to attending weekly group supervision and the neuropsychology seminar. The total time commitment for this placement is expected to be approximately 12 hours per week, although the time will vary as a function of experience. Each battery involves 4-6 hours of testing and typically includes a select number of the following test instruments: WAIS-III/WAIS-IV (selected subtests), WJ-COG-III (selected subtests), WMS-III/WMS-IV (selected subtests), Test of Memory and Learning-2 (selected subtests), California Verbal Learning Test-II, Rey Auditory Verbal Learning Test, Rey-Osterrieth Complex Figure Test, Brief Visuospatial Memory Test-Revised, Trail Making Test, Color Trails, Controlled Oral Word Association (F, A, S, & Animals), Ruff Figural Fluency, D-KEFS (selected subtests), Wisconsin Card Sorting Test-64, Stroop Test (Golden or Kaplan version), Boston Naming Test, Finger Tapping, Hand Dynamometer, MMPI-2. Please note that additional tests will be administered as needed and the tests listed above may be updated and/or replaced. Supervision will be conducted by Dr. Wright. Attendance and participation in weekly group supervision and the neuropsychology seminar is required.